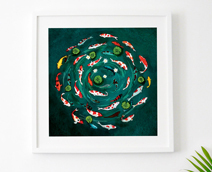 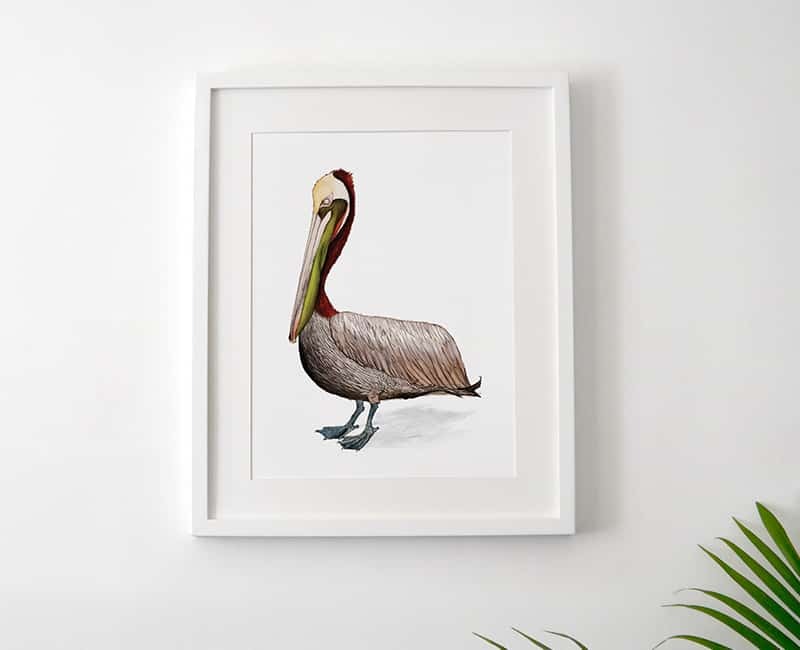 Printed onto beautifully textured 225gsm Somerset enhanced 100% cotton paper using professional pigment inks, unframed or framed (see framing options for options of regular or box frame) for details. 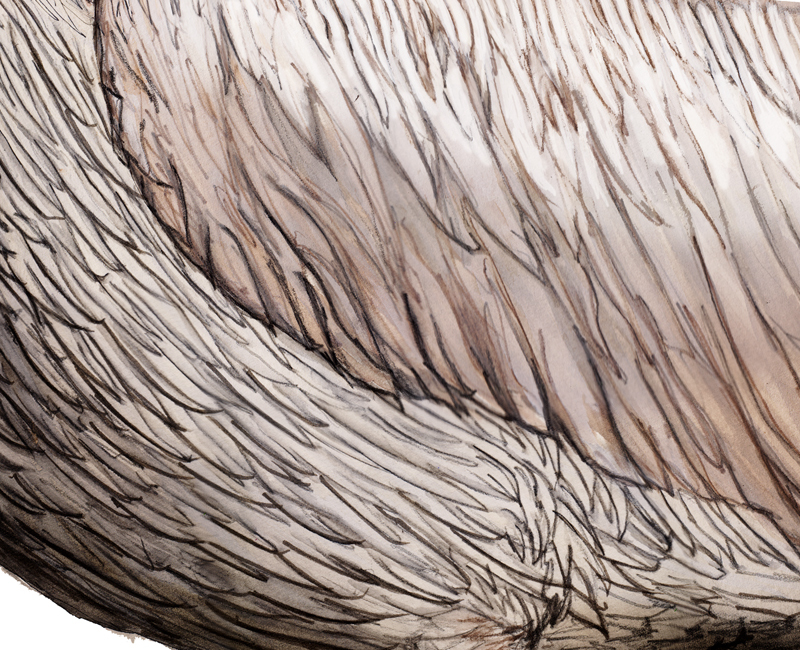 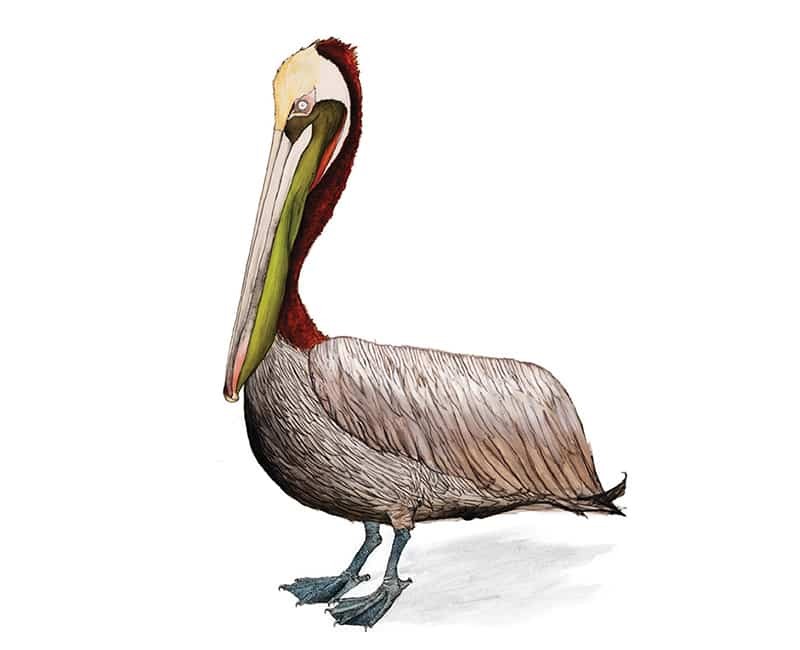 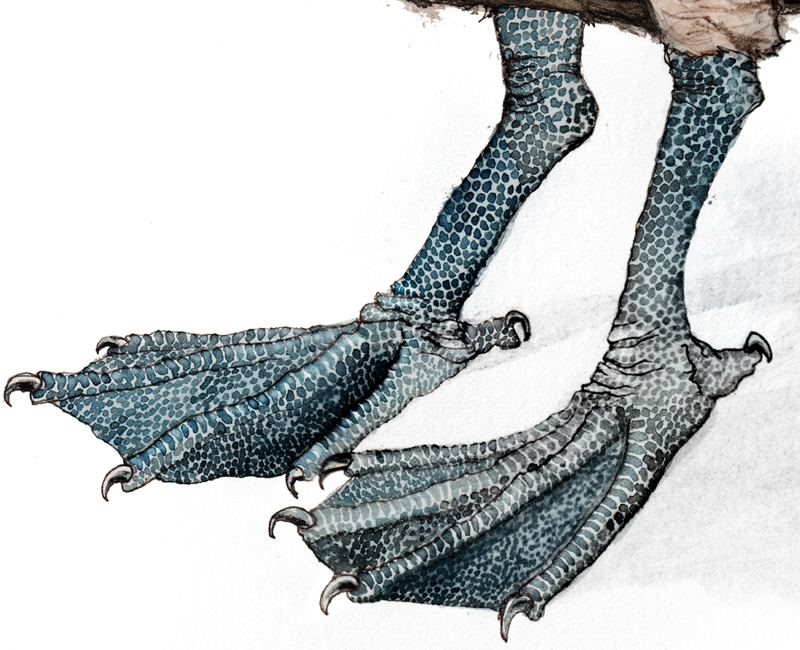 Every limited edition print is accompanied by a sleeved A6 card containing interesting facts and information about the Brown pelican. 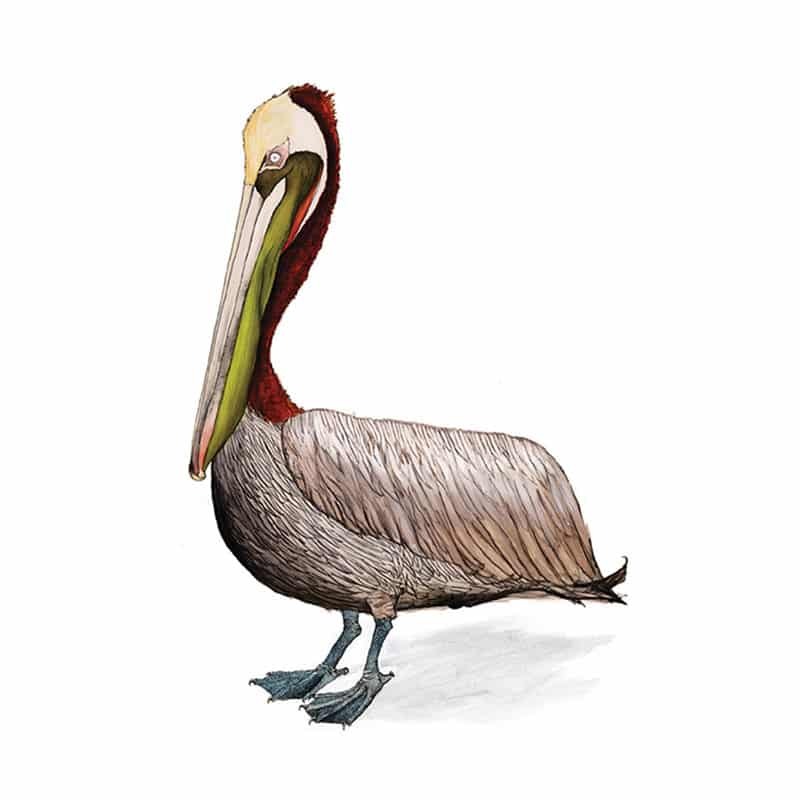 'The Brown Pelican is the smallest of the 8 subsecies of pelican and is found on the coasts of the Americas.